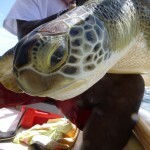 Up-close shot of a juvenile green sea turtle. 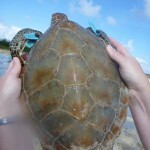 Annabelle Brooks and Meagan Gary, researchers with the CEI Sea Turtle Research and Conservation Program, recently spent a day in Savannah Sound, Central Eleuthera, with Fishbone Tours (http://www.fishbonetours.com/). 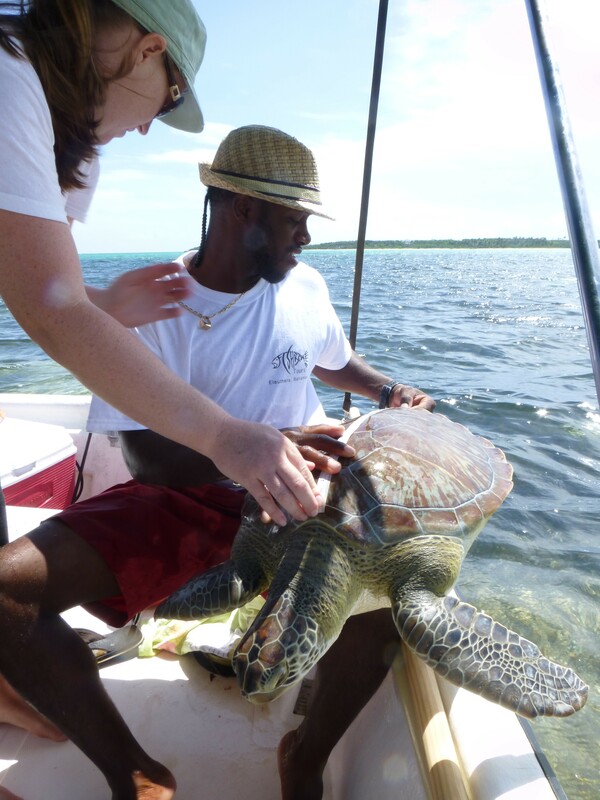 Established by Julius Rankine, resident of Savannah Sound, Fishbone Tours offers fishing trips and adventure tours that include a variety of activities including snorkeling on reefs and in mangroves, visiting a conch ranch, lunch on a secluded beach, and catching sea turtles. 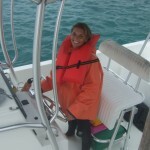 Not only a fun day out, Julius and his wife also take the opportunity to educate visitors about the various marine environments and species of the Bahamas. Julius Rankine from Fishbone Tours measuring the carapace length of a green sea turtle. 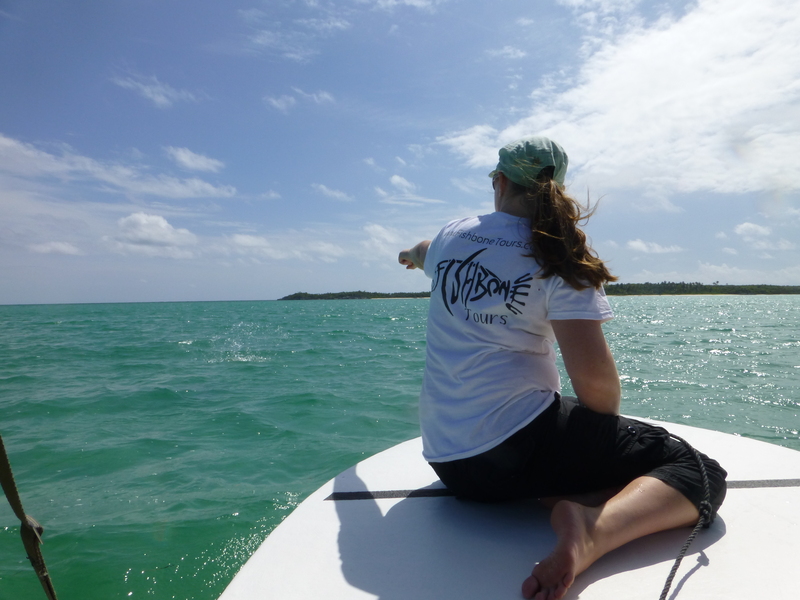 CEI’s Sea Turtle Research and Conservation Program has teamed up with Fishbone tours, training them on measuring sea turtles that they catch and release, gathering valuable data about the sea turtles using the rich habitat of Savannah Sound. 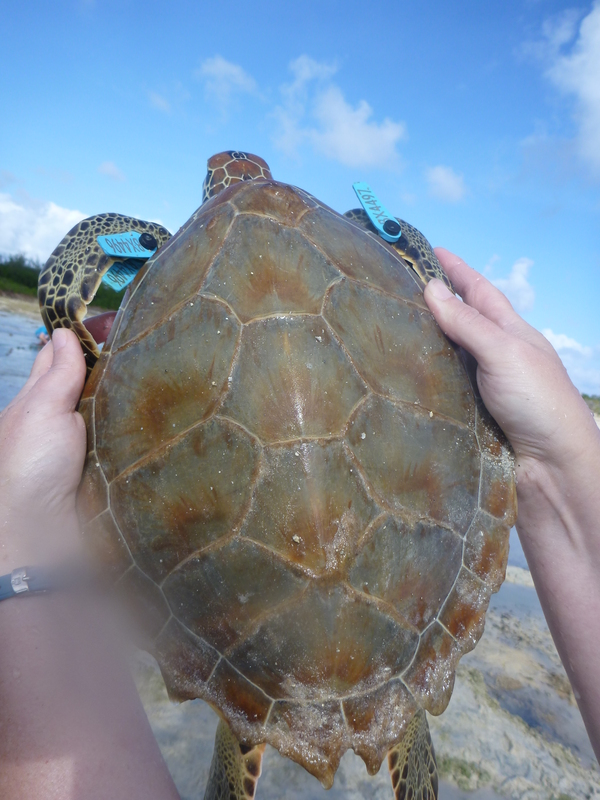 This collaboration will allow us to expand our existing data set from South Eleuthera. 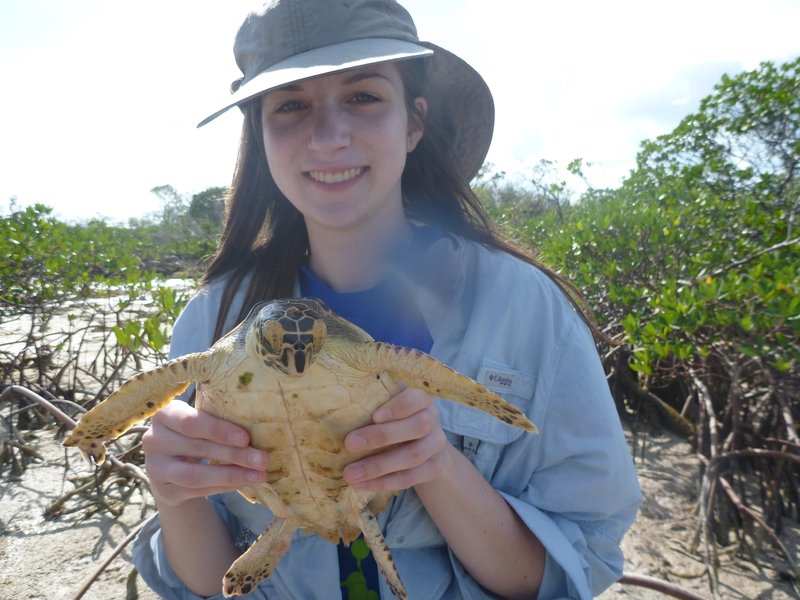 During their time in Savannah Sound, Meagan caught a juvenile green turtle and recorded carapace measurements, and the team explored the variety of different habitat types found throughout the sound. 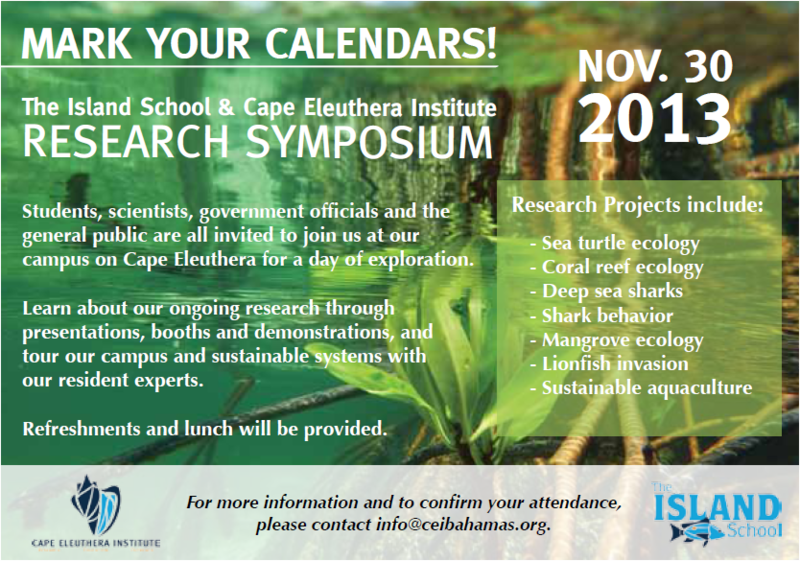 This was a great way to start collaborations on Eleuthera and start planning for future research in the rich ecosystem of Savannah Sound. 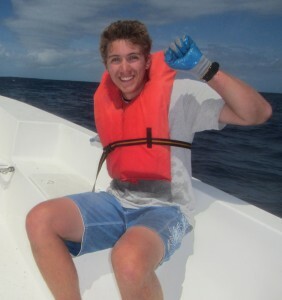 Students from the US and Puerto Rico came to the CEI campus for a week of working with researchers in the Shark, Flats, and Turtle Programs. Here is an update from each group. 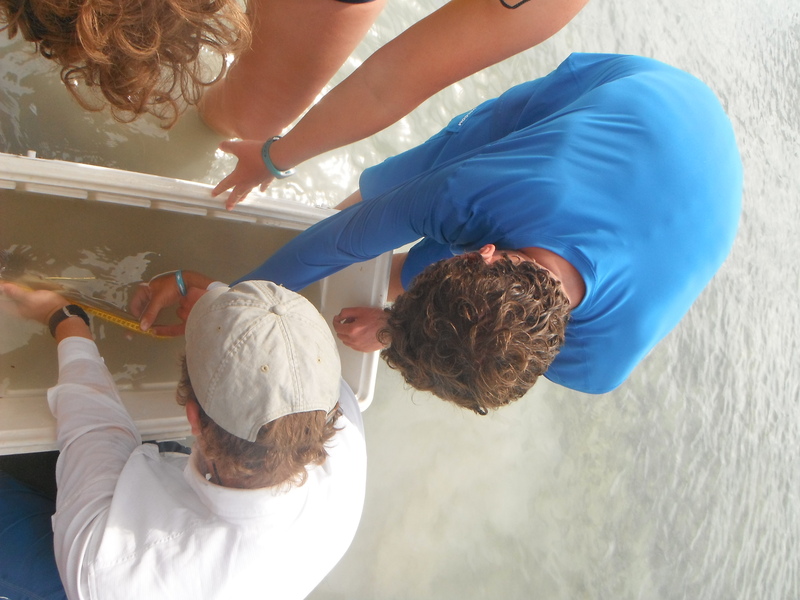 Campers tagging and measuring a fish. 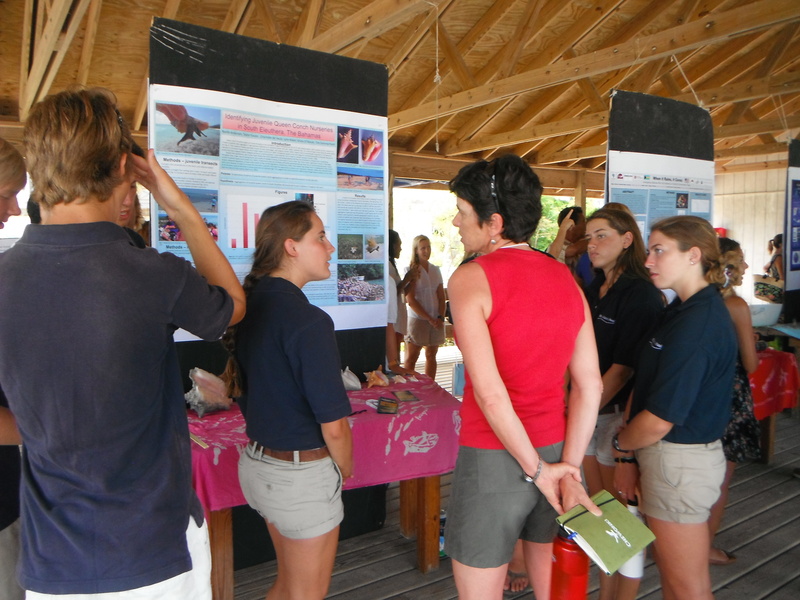 Spring 2013 CEI/IS Research Symposium was a success! 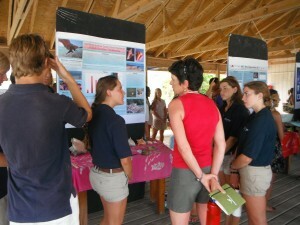 Students engaging a visitor, answering questions on their research. young scientists. After working on the posters all semester, students were proud to showcase their effort, and share what they learned with those that were interested. The Symposium culminated with keynote speakers Dr. John Tiedemann (Monmouth University) and Dr. Mark Hixon (University of Hawaii), addressing the students and motivating them to continue their critical thinking as they move on to college. 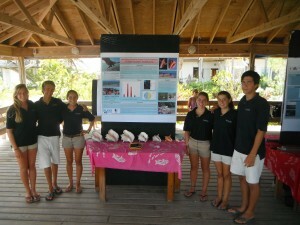 SP’13 IS students posing for a group picture after research presentations. Each presentation was followed by a question and answer session, where students demonstrated their extensive knowledge on the background and applications of their study. Parents also got the opportunity to learn about all of the research happening at CEI, and to meet with research advisors. Deadlines extended for summer camps at at CEI! Attention! 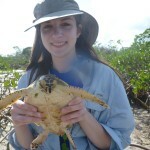 Deadline for registration for CEI’s Eleutheran Explorer’s Camp, Shark Week, Flats Week, and the new Turtle Week has been extended to JUNE 15. Please see the links below for informational flyers about the camps! 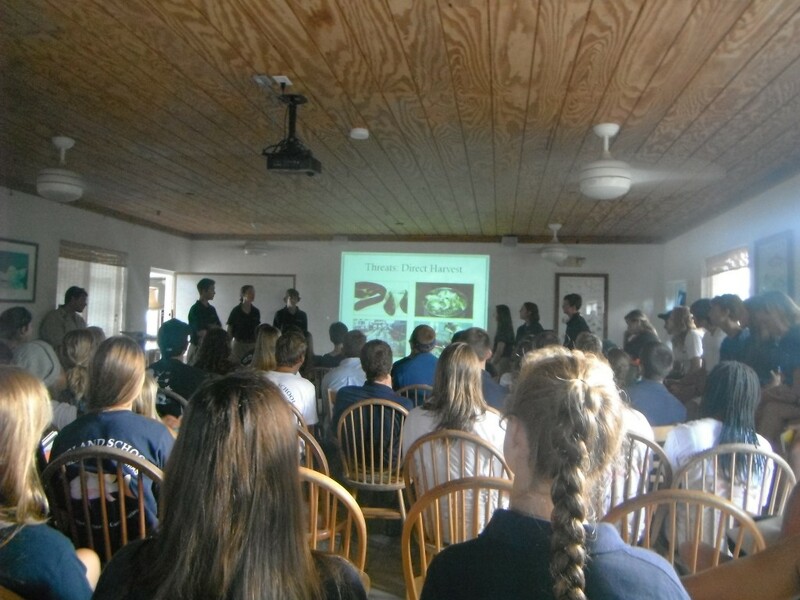 This past week, the SP13 Island School students presented Project Introduction presentations to their peers, staff, faculty, and the many visitors on campus. These presentations gave the students a chance to stand up in front of a crowd, and display their knowledge of the background, purpose, and methodology of their specific research projects. 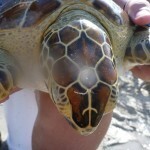 Visiting program gets up close and personal with sea turtles! 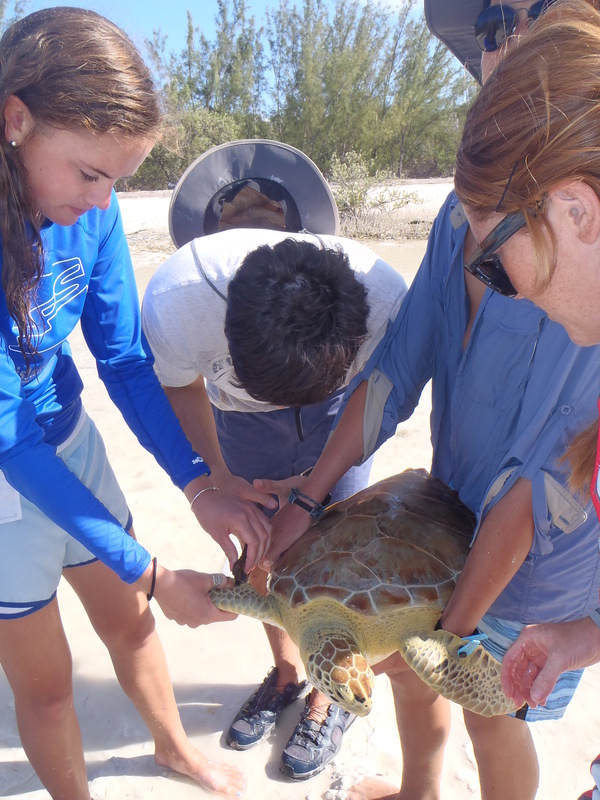 Recently, students from the Maine School of Science and Mathematics (MSSM), hailing from Limestone, Maine, spent their 2 week J-Term learning about sea turtle research and conservation at CEI.While here they learned about how the Bahamas is a unique foraging ground for juvenile green sea turtles. 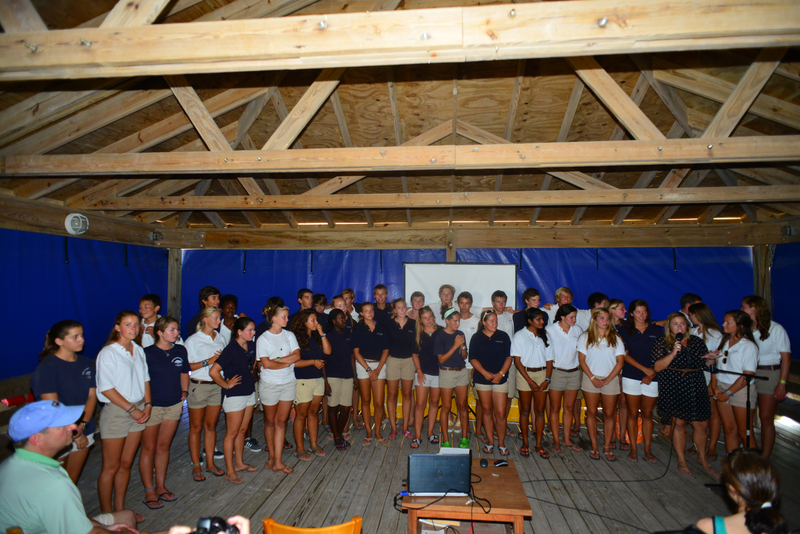 The students traveled to Half Sound, located northwest of the Cape, on the Atlantic side of the island. 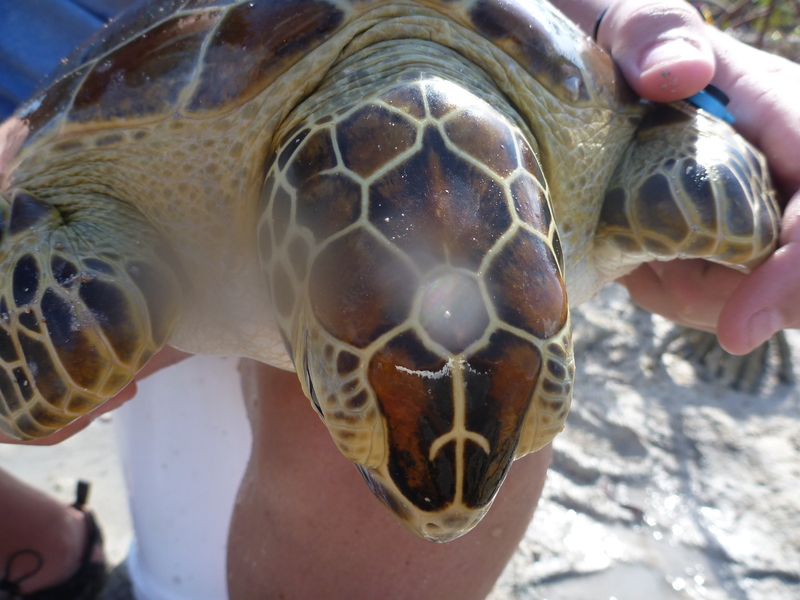 This site provides a protected habitat with a small opening to the ocean, a seemingly ideal place for juvenile green sea turtles to forage. 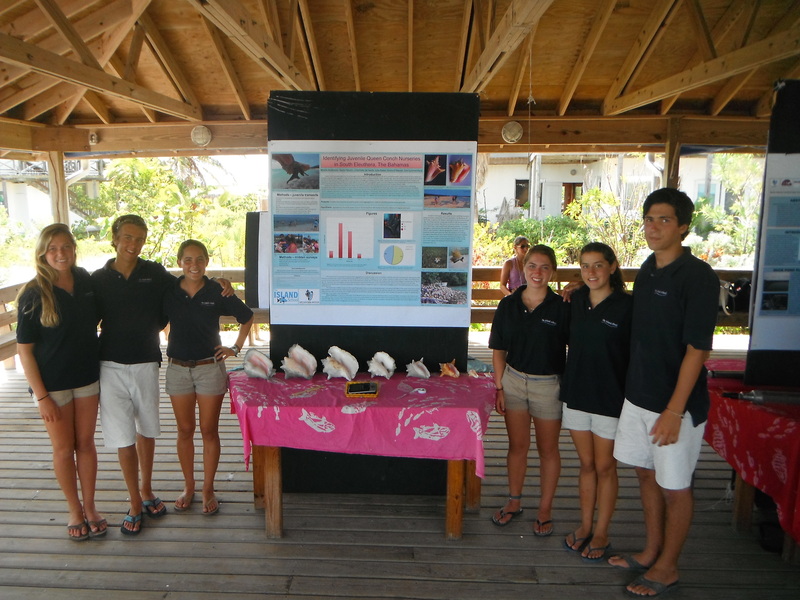 For their research, MSSM students built on research conducted by Annabelle Brooks and The Island School Fall 2012 research group. 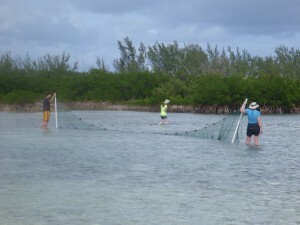 During their field time they conducted habitat mapping and surveys of the sound- observing shoreline habitat, taking depth measurements, and noting bottom type. 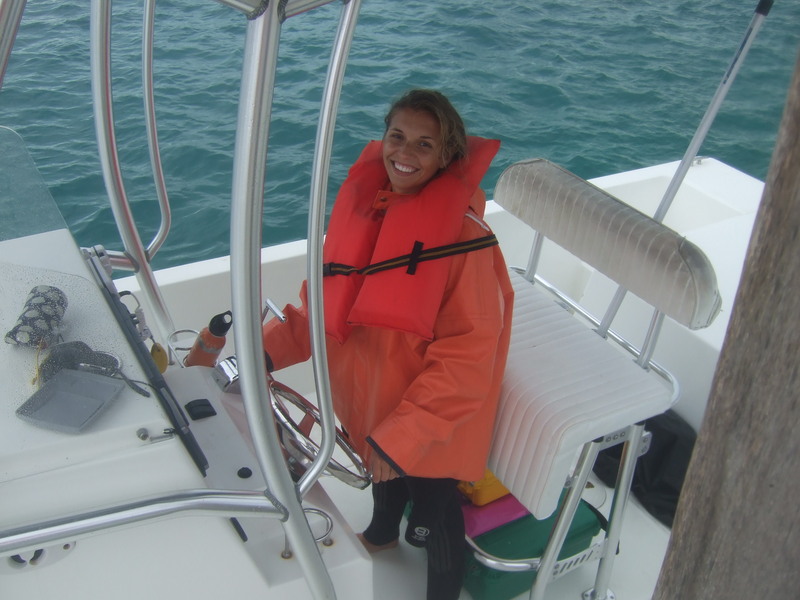 They also set up the first baited remote underwater video (BRUV) in the sound to capture footage of the possible predators in the sound. 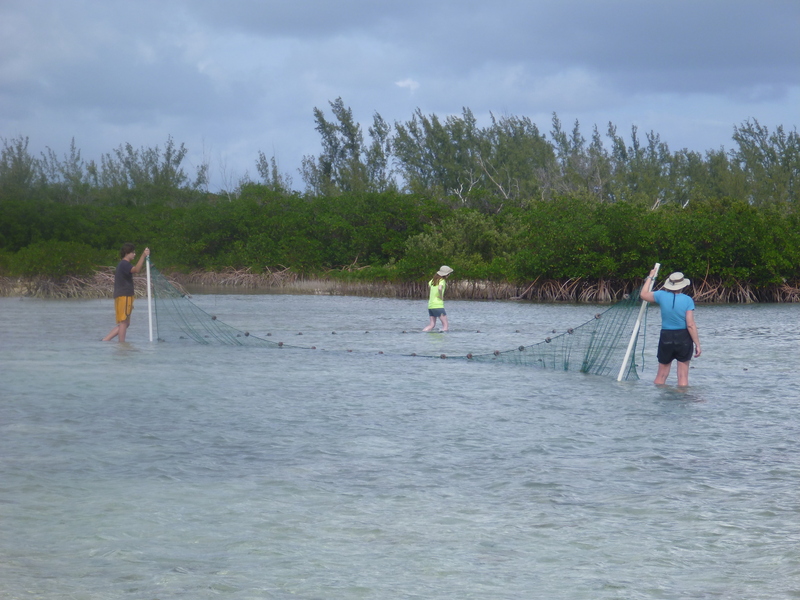 Boat surveys were conducted, where students did actual counts of sea turtles, and a seine net was set up in the mouth of the tidal creek, to capture and tag sea turtles. 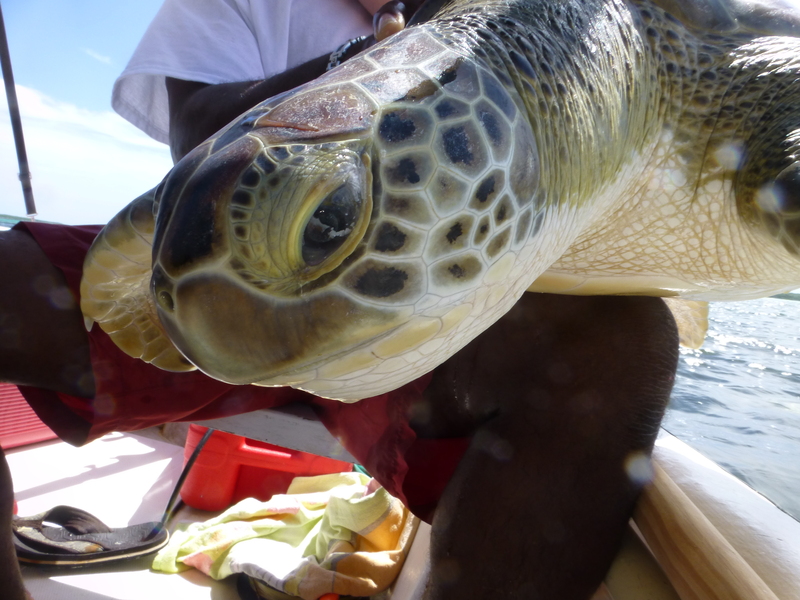 The tagging of sea turtles done at CEI is in partnership with the Archie Carr Center for Sea Turtle Research at the University of Florida, which aims to form a global database of sea turtle tagging data.